Research about consumers in subsistence marketplaces (Viswanathan and Sridharan 2009; Viswanathan and Rosa 2007) has grown substantially in line with interest in this market. Beyond the development literature, which has always had a focused interest in such consumers and their reactions to various development interventions, recent interest in such consumers has stemmed from the seminal work of CK Prahalad (Hart and Prahalad 2002) on the so-called bottom-of-the-pyramid, where a role for businesses in reducing poverty has been articulated. Consumers in such marketplaces seem to face a variety of constraints which affect their behavior, and these are typically based around income, economic stability (e.g., high inflation), political factors (e.g., governance, political instability, legal systems), and infrastructural challenges (e.g., distribution channels, erratic electricity supply, unreliable transport). Such constraints lead to consumption behaviors that are likely to deviate from existing models where such constraints are less of an issue. A number of themes arise in the literature. One common theme is based around differences in urban and rural environments. For example, rural consumers seem to shop more frequently, form closer relationships with local retailers, spend less on technology, and have fewer technological capabilities. Likewise, typical demographic variables (e.g., urban versus rural environments, age, gender) also seem to influence consumption with younger consumers having a better knowledge and capability to use technology. As might be expected, income level is a key factor in explaining consumption behavior. Other individual-based factors also seem to be very important, including literacy level, which seems to affect how such individuals process information on products, packaging, and advertising. For example, low-literate consumers are typically seen to process information pictographically rather than textually. Similarly, low-literate consumers are more likely to be characterized by concrete information processing which suggests a focus on individual attributes rather than more abstract trade-offs between multiple attributes. Given the more typical collectivist cultures of many subsistence marketplaces, such consumers are often seen to be heavily influenced by their social context and rely on a good deal of social capital to make decisions—where possible, the assistance of friends and family, for example. Social networks act as an important learning resource that consumers can draw on when needed. These social networks manifest themselves further through local opinion leaders who can also heavily influence decision making. The literature points to some interesting reactions toward price. The typical assumption is that lower prices are better, addressing the affordability constraint. However, as in economically wealthier markets, prices are highly subjective, and individuals have been shown to react more favorably to products and services which have a small positive price compared to when the product and service is free. Although interest in the area has increased substantially, research in the area is fragmented and spans a number of disciplines. 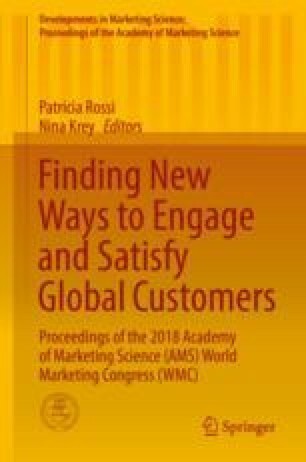 This analysis synthesizes existing knowledge about consumer behavior in subsistence marketplaces, highlights gaps, and presents a future research agenda. Implications for not-for-profits and a future research agenda will be outlined.